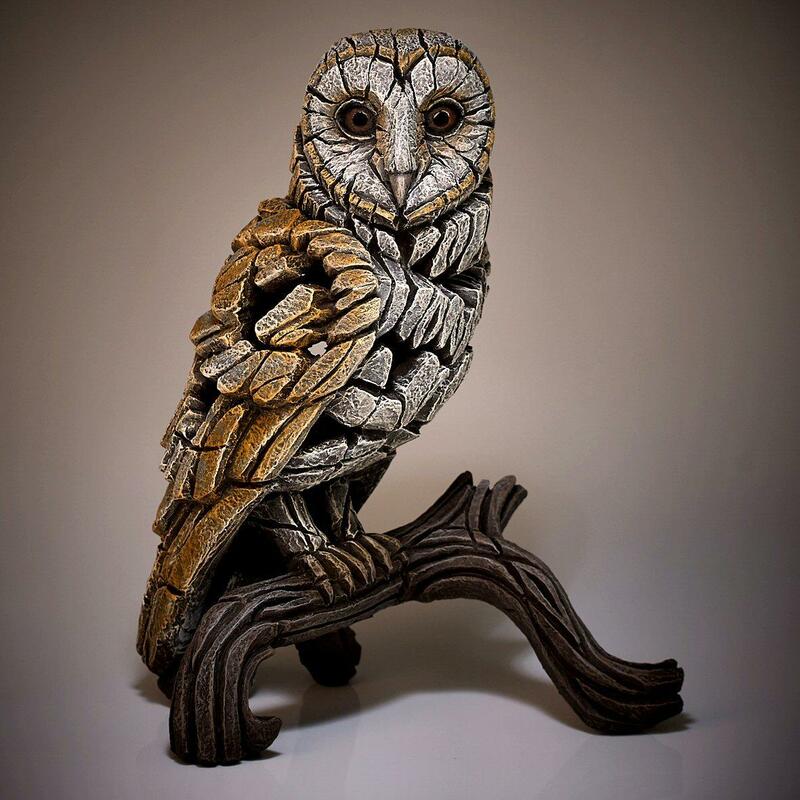 A beautiful barn owl sculpture by Matt Buckley. One of our most well known and well loved birds, the barn owl's distinctive heart-shaped, white face and black eyes make it instantly recognisable. Its silent flight and extraordinary night vision make it perfectly adapted for nocturnal hunting. Matt Buckley's study shows a barn owl perched on a branch, ready to pounce when prey is spotted. 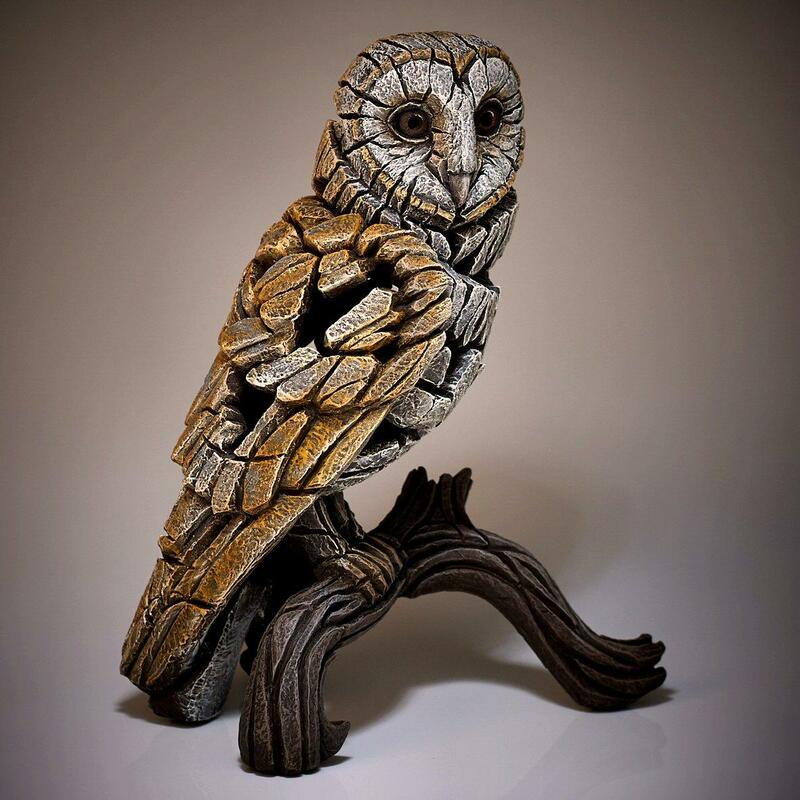 This sculpture is finished in natural white and fawn tones but we also have versions in a special burnished finish - BARN OWL - BURNISH EDS25 and deep black tones - BARN OWL - BLACK ED25B.